Yesterday we looked at two of Ray Keene's games, a win against Botvinnik and a draw with Karpov, that have genuine historical significance for the development of English chess. In contrast, today's blog features a game that probably means nothing at all to anybody but me. When I first started playing club chess in the mid 1980s I stumbled across Mike Basman's Audio Chess series and Raymondo's 1 d4 2 c4 Repertoire for White. In his tape, to help illustrate his recommended 5. Bf4 against the Queen's Gambit Declined, RDK demonstrated his game against Jakobsen from Esbjerg 1981. I've played through scores of Keene's games in the past couple of decades, as many as most people I would imagine, but this win has always been my favourite. Aside from several very pleasing tactical moments (see below) it still remains an instructive example of what White's hoping for in the Bf4 variation. Sure, it's not particularly theoretically relevant anymore but it certainly illustrates the devastation that can follow a White bishop landing on e5. In the game Jakobsen pushed 17 …b5-b4 which only succeeded in driving Raymondo's knight over to the kingside where it ended up doing some severe damage. What would have happened if instead of advancing a pawn Black had stuck his own knight in on e4? 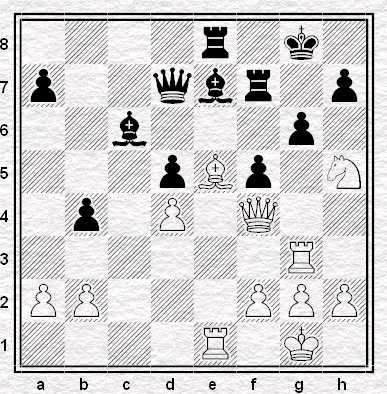 Black attacked White’s bishop with 18 … g7-g6 but RDK ignored the threat and just played 19 Ng3. 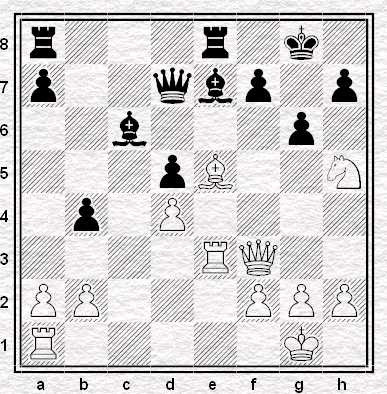 Black then tried 19 … Nd7. Grabbing the piece certainly looks suicidal but could Black have got away with it? Here's Keene's just put another piece en prise with 21 Nh5. 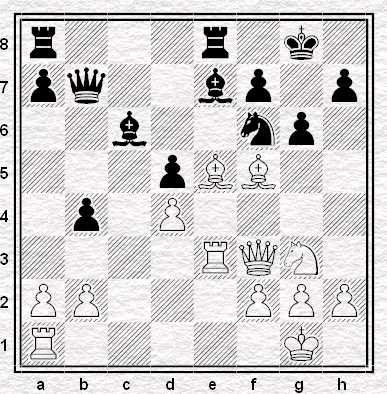 Black responded with 21 … f5 and got flattened. What would have happened if he’d accepted the sacrifice? Things are looking very dicey for Black. 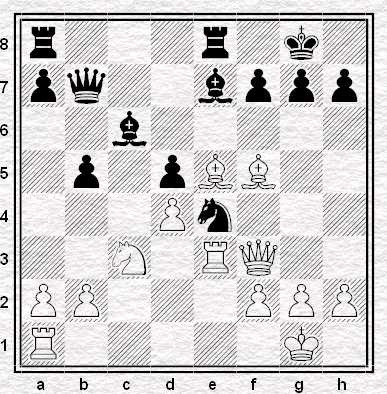 Raymondo has placed his rook on g3 - right in front of Black’s king – and Jakobsen answered by moving his rook to e8. Sacrificing on g6 and following up with Qh6 looking to mate on h8 looks very tempting. Why didn’t Ray finish the game this way?